In August 1937 hundreds of paintings from the collection of the ´Folkwangmuseum´ in Essen were classified as “entartet” (i.e. “degenerated”) by the Nazis and taken to Berlin. Among them are two works entiteled ´Stilleben´ and ´Pferdeschwemme´. The artist is Josef Urbach. He is one of the important so-called ´Rheinischen Expressionisten´ and he was a professor at the ´Folkwangschule´ in Essen. In 1921 he took a study trip of several months to Italy, which had been made possible by the sponsors of the art scene in Essen, the Jewish families of Simon, Levy, Stern and Abel. A lot of works of this Italian journey went into the art collections of the families. 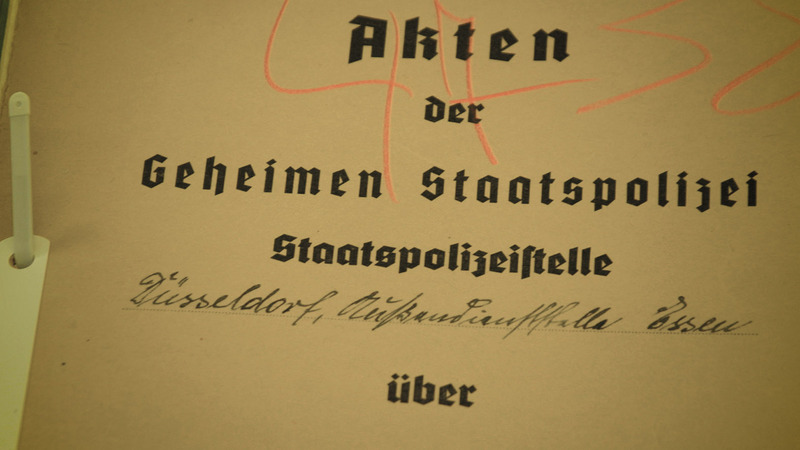 Later the families were expelled from Essen by the Nazis. A lot of paintings of Josef Urbach were destroyed in the so called “Reichskristallnacht”. Others were probably stolen. What has become of the “degenerated” paintings? What traces are left of the collections? 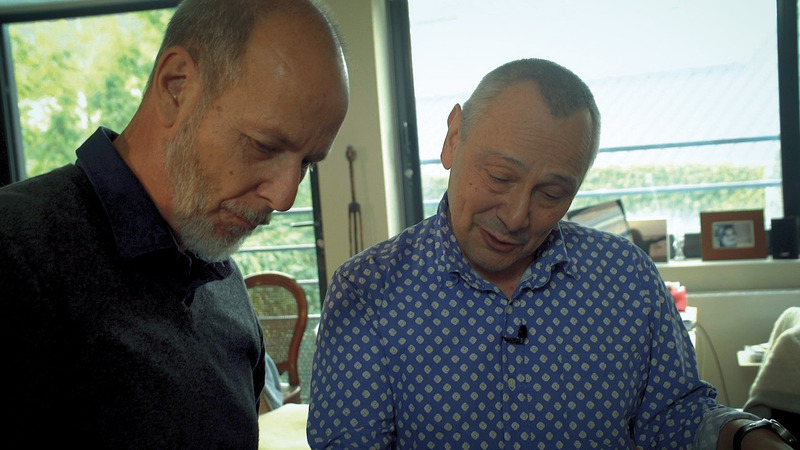 Almost eighty years later the film-maker Tilman Urbach goes to the search for the missing art works of his granduncle Josef Urbach. The subjects of “Degenerated Art” and ´Lost Art´ is dealt with this film. Subjects which have become known to a wider public through the Gurlitt case. But beside all the facts, a personal, autobiographical approach of the film-maker is possible. 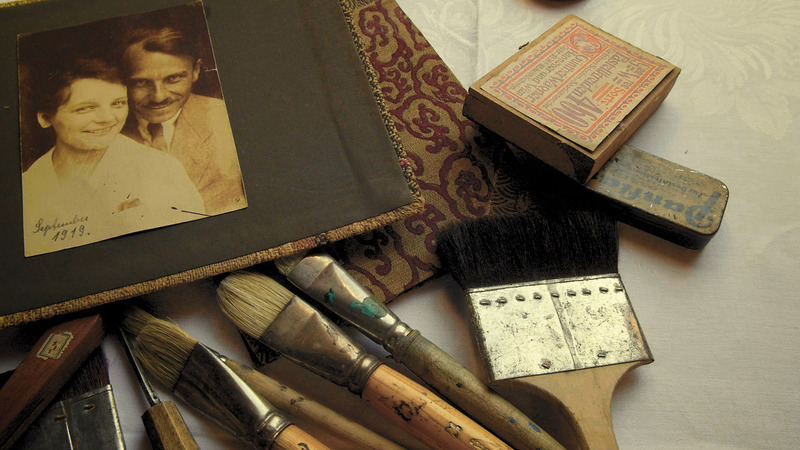 For behind the paintings not only does the life of the artist Josef Urbach appear, but also those of his Jewish supporters and collectors, by means of interviews with descendants, too. At first Tilman Urbach visits Thomas Simon in Alkmaar who tells the story of his granduncle Otto, the boss of the internationally active ´Rahmenfabrik Döllken´ based in Essen. Otto Simon was able to leave for Holland, but was given away and deported to Bergen-Belsen Concentration Camp. Josef Urbach had portrayed Otto Simon. Today there is only a photo of the oil painting left. One more artwork to be classified as `Lost Art`. In Brussels, Thierry Abel informs about his grandfather Max Abel, a lawyer in Essen who after his arrest in the so called “Reichskristallnacht” left for Belgium and was hiding there. Furthermore Josef Urbach was friendly with the lawyer Dr Fritz Levy, who offered an open house for painters, writers and musicians in Essen with his wife Frida. Here, Josef Urbach met his colleagues, the painters Karl Schmidt-Rottluff and Gerd Wollheim. Frida Levy, who was also portrayed by Urbach, was one of the first feminists, her husband Dr Fritz Levy was a SPD city councillor in Essen. In 1933 Fritz Levy, who was already ill, was forced to leave Essen at once. He died in Wuppertal, a small town nearby. Frida Levy went to Berlin and was finally murdered in the Riga Concentration Camp in 1942. Tilman Urbach visits their grandson Klaus Levy in Sweden and finds a few other pieces of art of his granduncle Josef Urbach. 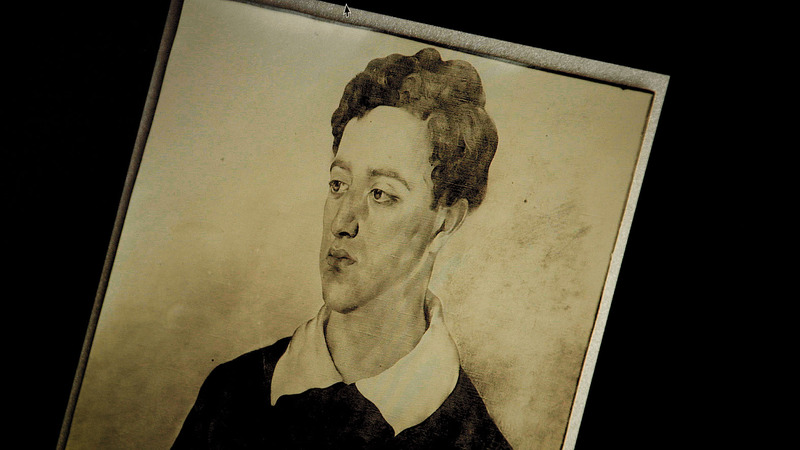 But what happened to the other paintings once hanging in the villa in Essen? Finally, Tilman Urbach visits the ´Federal Archives´ in Berlin and talks to Andreas Hünecke and Meike Hoffmann about the “degenerated paintings” of his granduncle in front of the original files of the ´Propagandaministerium´ and goes on to trace the commission lists of the dealers Buchholz and Boehmer (colleagues of Gurlitt) who tried to sell the two ´entarteten´ pieces of art of Josef Urbach. 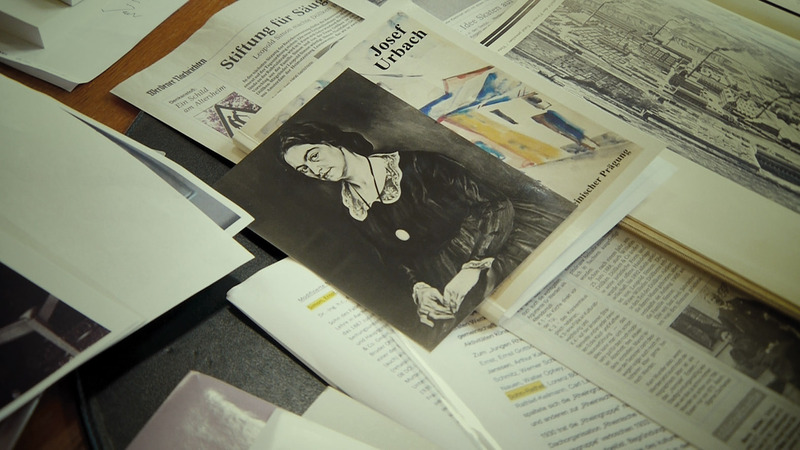 The film is supposed to be the first Kino-Dokumentarfilm dealing with ´Entartete Kunst´ and ´Lost Art´ from Germany. It opens a time window and makes the people and their fates behind the facts visible.